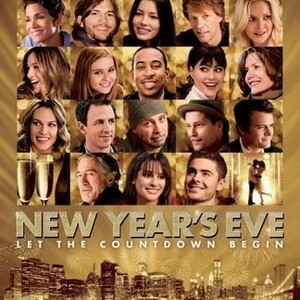 New Year´s Eve is a romantic comedy film directed by Garry Marshal. The film consists of an ensemble cast. 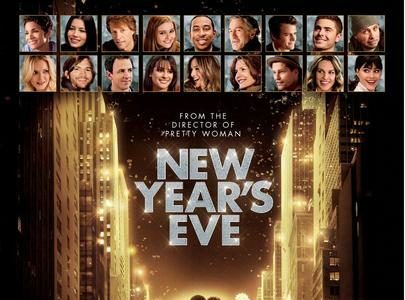 New Year´s Eve is the second of an unofficial trilogy of romantic comedy films directed by Garry Marshall. On New Year´s Eve, Vice-President of the Times Square Alliance Claire Morgan (Hillary Swank) is making the final arrangement for the ball drop with the help of her friend Police Officer Brendan. Meanwhile after being nearly run over by a car and denied a vacation, Ahern Records Secretary quits her job and offers the delivery man tickets for the Ahern Records, just if He helps her to complete a series of New Year Resolutions before midnight, which He accepts. Parents need to know that is a star-studded romcom that´s heavy on familiar faces, and short on depth. It follows several interconnected story lines as people try to make amends of the previous year and ring in the new one. The stories are simplistic and saccharine, and thought the messages are well meant and everyone is striving to be a good person, there aren´t any believable role models. There´s plenty of kissing and romance, plus swearing and swearing , and tons of enormous billboards touting products in Times Square. Ensemble: A group producing a simple effect. Ball drop: A ball descends in Time Square in New York as part of the New Year’s Eve celebration. Star-studded: Featuring a number of famous people, especially actors or sports players. Saccharine: Something that is so sweet that it’s annoying. Identify what´s the main point or message in this movie and write it down. What´s your opinion on saccharine movies? Welcome to this activity created by Team Leader in Charge Juan Guadalupe Vaca Pérez from Satelite Branch. Take note of all the pink words, read the text, watch the video and answer the question in the comment section below. Previous PostWhich Movies Will you Watch this Month?